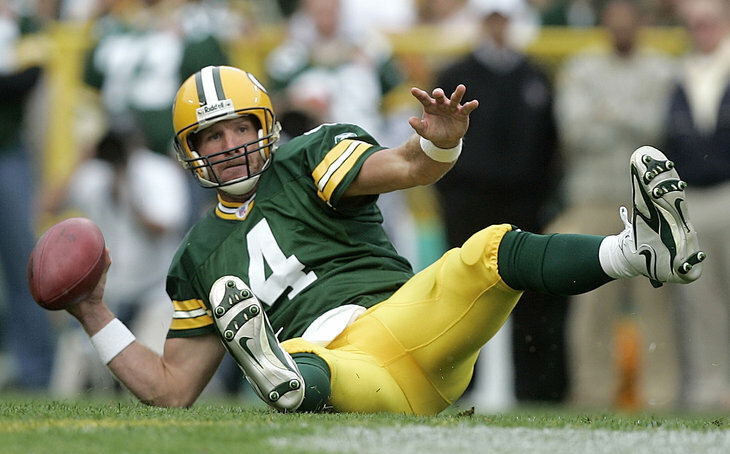 God I loved watching Brett Favre play. Sometimes. Other times he just frustrated the heck out of me. You really had to admire the man’s commitment and desire though. He was fully bought into the team’s success. He was going to do whatever he could to ensure the team won. Even more, I got the sense that he believed that the team would win. I got the sense that he was surprised each and every time he got to the end of the games and the score on the scoreboard went against the Packers. He had all the traits you absolutely love to have in an athlete. And he had all the traits and habits you hate to have in a Project Manager. I don’t think I’ve been on a project where we have managed risks well. I don’t think I’ve seen a project where risks are managed well. Everyone understands what needs to be done but for whatever reason, the risk meetings aren’t followed up on after that first risk workshop. I started to wonder again why that would be. Everyone understood the reasons behind the risk workshops and even on projects that weren’t overly busy we didn’t seem to go back and revisit risks. We even created new risk deliverables. We had risk heat maps and risk radars! And then we created them once and never really went back to review them or recreate them. So the question is why? Why are we so bad at following up on something that most people agree is very valuable? Just like Brett Favre, we just didn’t feel there was a lot of risk. Good project teams ‘become the project’ at some point later in the project schedule. I don’t mean they physically become the project, but they become vested the project’s vision and success. Project team member’s want the project to succeed and want the clients to realize the benefits. In this way team members become the project and lose some of their objectivity. When project team members become the project they first thing that happens is that they believe in the project, the second thing that happens is that they believe in each other. Eventually this can result in decreased formality, diminished reporting of issues and risks as the team doesn’t want to be adversarial and also they believe the issues will sort themselves out. In this way, as your project team gets stronger and becomes the project, they lose their objectivity. Annnnnnnd before you know it you are chucking up a 70 yard bomb with 2:00 to go instead of just running out the clock. More and more companies are now resourcing external Project Managers that are only on board for a short period of time. I believe this is trying to address the issues that can be caused by Project Managers becoming too comfortable in the client environment. Similar to the project team, this familiarity can cause issues to not be raised and decreased formality as the project managers believe more in their team mates and the clients. So the question remains. How can we reap the benefits from increased relationships to the Project Manager without losing objectivity? One way to attempt this is to use consultant Project Managers and only have them to a short period of time. I’m not sure if this is optimal though as new Project Managers have to learn the business domain and organization and just when they are up to speed they need to be swapped out. With every new Project Manager there is ramp up and learning time and with every departing Project Manager we lose valuable project and client knowledge. What we are implementing is a concept that has been around for a while – Project Assurance. Lately Project Assurance has taken on the form of Project Checkpoints were we get together and sing around the campfire. I jest but the weekly conference call checkpoints without everyone having the knowledge or the context of the project are not very useful. What we are proposing here is quite different. Active Project Assurance involves a third-party facilitating ongoing sessions with the project team to provide that objectivity while encouraging the Project Manager to continue to build relationship with the project team and clients. In our case the Project Management Office participates in the Project Initiation activities and then facilitates the Project Retrospectives and Project Risk workshops. We can then provide Project Assurance to objectively review the project while still allowing the Project Team to be the project. Without the enhanced project team and client relationships, the Project Management Office does not have biases for issues and risks. Both of those still scare the heck out of the PMO. This allows the Project Management Office to have enough context to actually consult on the project and also allows the project teams to become more informal and build relationships that ultimately benefit the project. And maybe we can stop the odd pick-6 while we are at it.